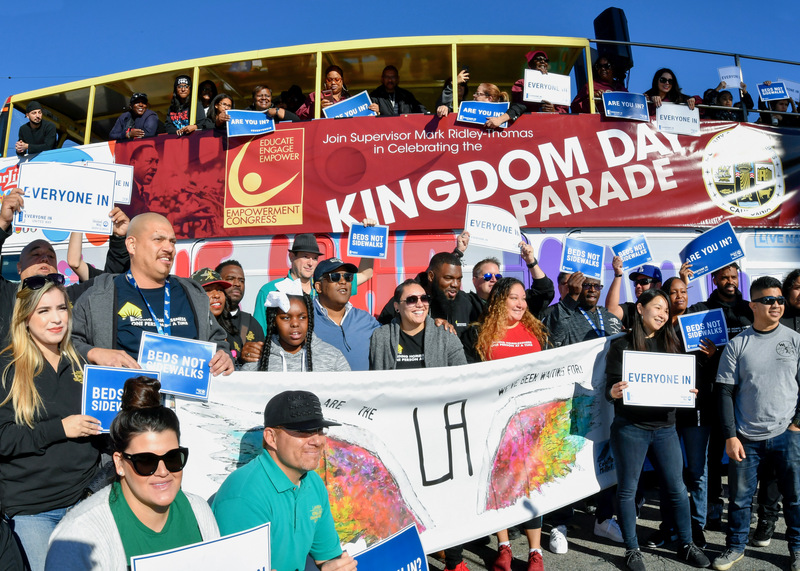 More than a hundred people on the frontlines of helping the homeless – from street outreach workers to advocates – joined Supervisor Mark Ridley-Thomas at the 34th annual Kingdom Day Parade, drawing grateful cheers and applause from the crowds in South Los Angeles. On a day dedicated to paying tribute to the legendary civil rights leader Dr. Martin Luther King, Jr., Supervisor Ridley-Thomas also found plenty of reasons to celebrate street outreach workers, who fan out across Los Angeles County every day in search of the homeless, build a rapport with them, and offer them a wide range of services, from healthcare to housing. About 85 street outreach workers participated in the parade, many of them working for the Los Angeles Homeless Services Authority, the LA County Department of Mental Health or working for nonprofits such as HOPICS and St. Joseph Center, contracted by LA County Department of Health Services. United Way of Greater Los Angeles encouraged everyone watching the parade to join its Everyone In campaign, learn more about people experiencing homelessness, stay informed on supportive housing, and seek opportunities to attend community events and advocate for solutions in each neighborhood. 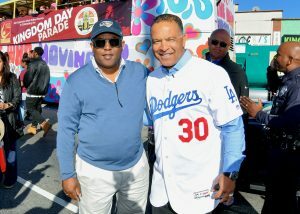 The parade traveled on MLK Boulevard, Crenshaw Boulevard and Vernon Avenue, ending with a festival at Leimert Park. 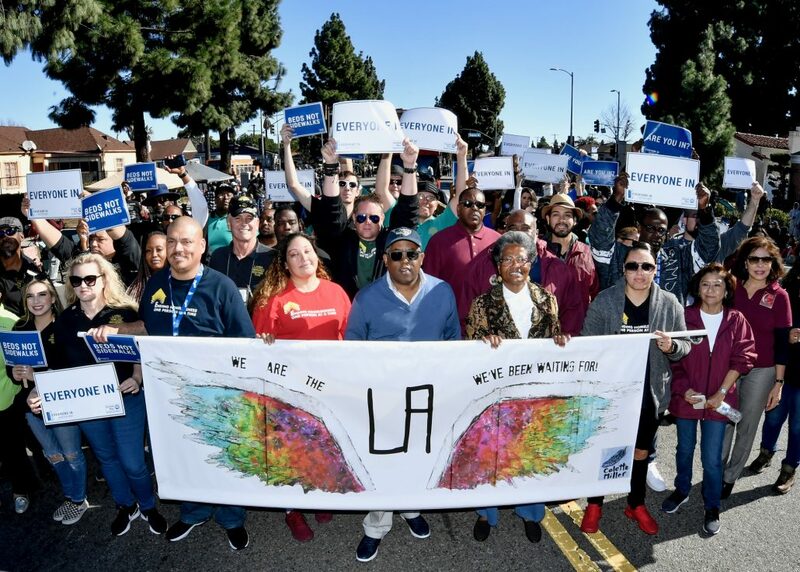 Thousands of people lined the streets to cheer on dozens of marching bands, floats, equestrian units, drill teams, dance groups, and dignitaries, including LA County Fire Chief Daryl Osby and LA City Police Chief Michel Moore, just to name a few.